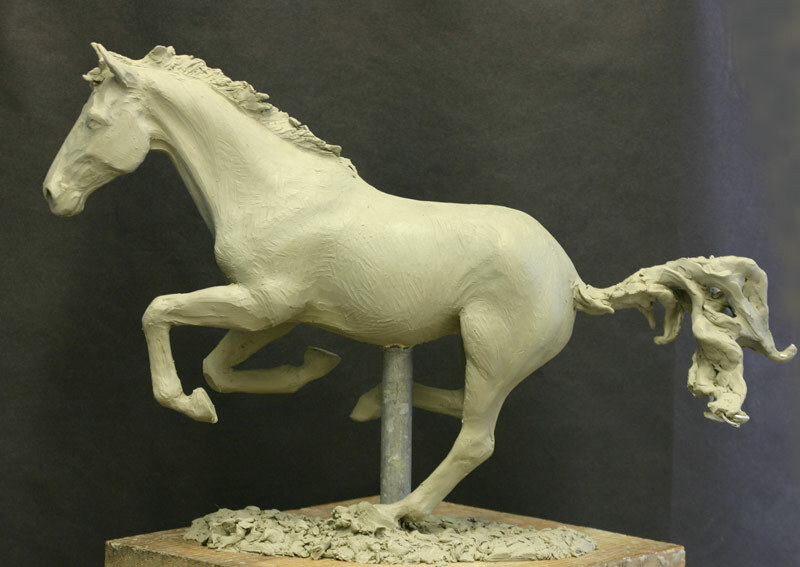 This sculpture is intended to express the explosive power of a horse when it “blasts off” in exuberant play. Oil based clay original to be cast in bronze. If you are interested in pre-ordering this sculpture, please contact me.